Benjamin Netanyahu left few cartridges in his opponents’ arsenals. He has made Israel richer and safer; he used military force without being sucked into war; he has improved relations with hostile neighbors and world leaders and was elected prime minister from 1996 to 1999 and from 2009 to today. 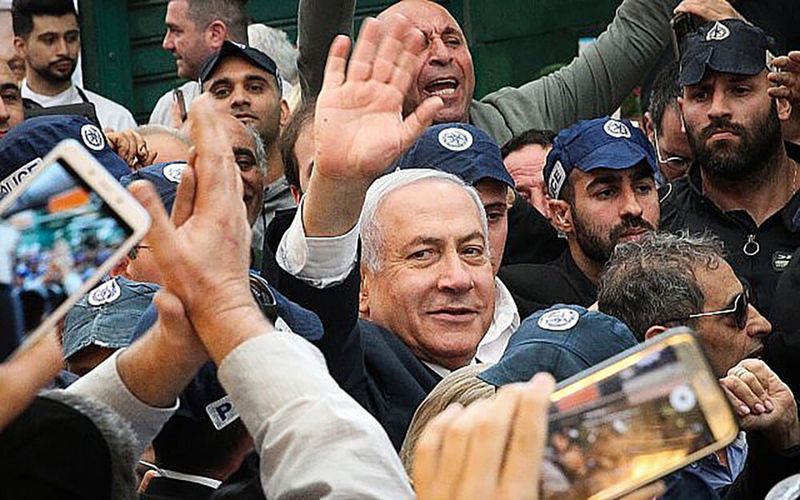 The secret of Netanyahu’s success lies in places such as Kiryat Malachi, the “city of angels”, a stronghold of the conservatism of large families. The sons of “Israel hashniah”, the second Israel, which did not establish the state, but became its strength, those of the refugee camps of tents and DDT sprinkled on the new arrivals, the youths relegated to the army to the humblest jobs, while the élite like Shimon Peres climbed the Ministry of Defense. The right-wing revisionists, the religious Jews, the Mizrahi Jews who emigrated from the Arab lands, the petty bourgeoisie of the new cities, all were neglected and hated by the old Israeli establishment. The centrist coalition is strong in the coastal megalopolis from Tel Aviv to Haifa. It is the “white tribe” of Ashkenazi Jews whose families have been in the country longer, they are secular, connected, educated, globalized, with higher incomes. In Kfar Shamriyahu, the richest city in Israel, left-wing parties have 75 percent. It is an amorphous group of Jews of Ashkenazi origin who live north of Tel Aviv and deeply despise the religious Jews. The right-wing Likud was once the party of the educated bourgeoisie. Today it is voted for by the lower economic class, which feels excluded and oppressed by the élite. The majority of the Israeli left is made up of senior state officials, middle-senior pensioners, professors, professionals, whose careers and lives have always been based on state institutions. They grew up in the world of Ben Gurion, while Israeli society was changing.